Discussion in 'iPhone and iPad Games' started by PeteOzzy, May 9, 2015. "If you've got any love for strategy RPGs, you shouldn't let this one pass you by." - Touch Arcade - 4½ out of 5 stars "For fans of XCOM" - Pocket Tactics The Last Warlock is a turn based strategy and role-playing game. 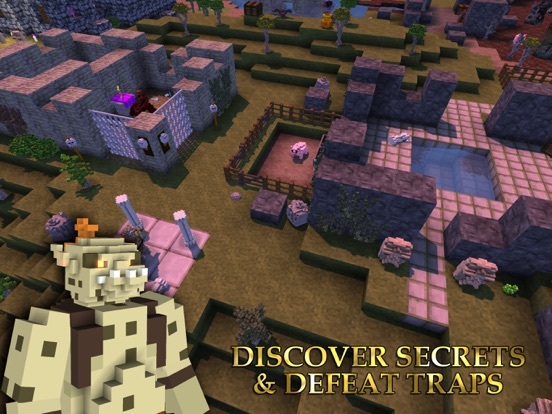 Command your Warlock across a series of hand-crafted quests, encountering monsters, traps, puzzles and enemy Warlocks! "The Last Warlock is a fantastic bit of medicine for anyone who has grown a little weary of the norm in this genre, and a breath of fresh air even if you haven't." 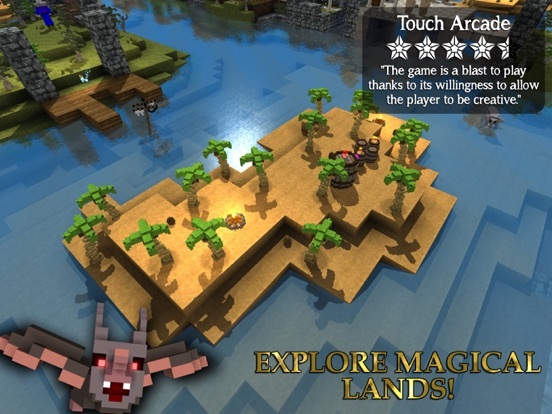 - Touch Arcade - Journey through varied magical lands on your quest to discover the secret of the last warlock. - Featuring over 60 spells. - Summon mythical creatures to do your bidding. - Attack your enemies with fire, lightning and magic. 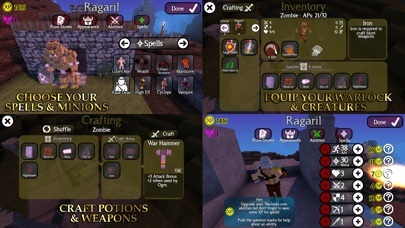 - Craft swords, shields and potions to aid in your quests. 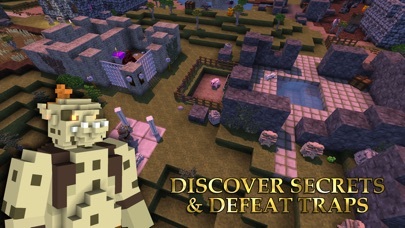 - Use loot from your battles to level up and prepare for the next adventure. 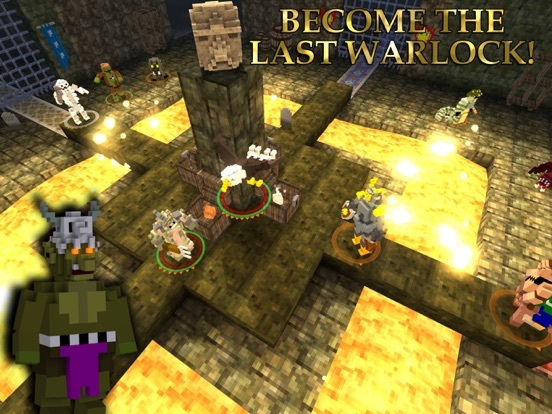 - Customize the appearance of your Warlock and power up with new spells and abilities. 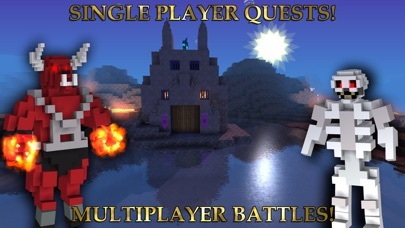 - Replay quests to discover hidden areas or defeat challenging monsters as you gain power. - True emergent gameplay rarely seen in mobile games. 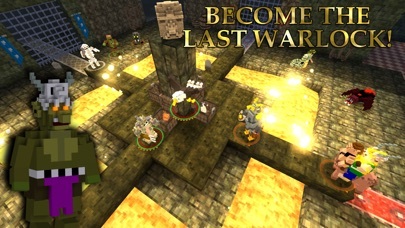 The Last Warlock features an extensive single player experience and an exciting multiplayer battle mode where you can play hotseat or online asynchronous battles against up to four human or computer controlled Warlocks. - iCloud keeps your saved games shared across devices. - Game Center achievements and leaderboards. 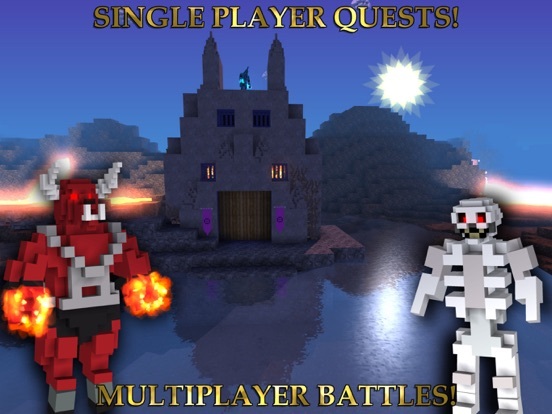 - Multiple difficulty levels for casual players or expert strategists! - No timers, and no pay to win! Note: In-App purchases are an optional extra to unlock spells early. The game has been balanced to be played without them and contains no form of consumable purchases. After each quest you gain spells and XP to upgrade your Warlock and defeat the next quest. We rely on the community to report issues. If you experience a problem, please email support@sonicsloth.com. We respond to support requests quickly. Why would you charge 5 dollars for your game and then have in app purchases? I hope this does not have timers or consumables that need to be bought. There are no timers in the game - it's not that kind of game. 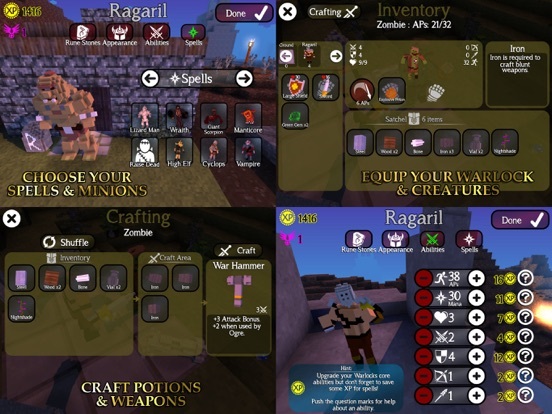 The entire game is designed to be played without making any additional purchases. It mentions this in the App description. The IAPs are there for things like getting extra maps, and for players that want to go nuts on making themselves super powered early on. This kind of thing is a tough decision for a developer. I considered disabling the optional purchases just to avoid putting people off like yourself. Past experience on other games pushed me to include them though. I wish you luck. Looks like it might be a good game. Question though, how does the game (multi-player) stay balanced if some people purchase an iap to make themselves super powered early on and others do not? Multiplayer mode doesn't allow you to do that. Warlocks have their spells and strengths randomly distributed at the start of a battle to keep it fair. It's not possible to 'pay to win'. Well I'm intrigued. Anybody have imps? Thank you so much for giving an answer without being offended. 'Pay to win' is just so frustrating, especially to my (and others') foster kids who most times, don't even have the ability to earn a dollar. One of my kiddos is saving to purchase this game and now I feel comfortable telling him to go for it. Please know that people are far more likely to pay the price of admission if they can view a gameplay video; not merely a 30-second trailer. This looks interesting. I will keep my eyes open for more info. Looks cool. Took the plunge. I'll leave impressions later. Looks good, but it's too expensive. you are charging as much as some of the biggest titles on the app store, I hope it works out for you but I'm out. Why do you even post rubbish like this? Are you saying that if it was $2.99 you would jump with two feet in? No, you would complain it wasn't $.99 and ask if you could get a promo code. The price of a cup of coffee for someone's hard (most likely years of) work. People like you are why FTP wins. Gah. So far so good. Looks good, ui is pretty good although I wish there was a sensitivity option. No crashes. I've earned like 5 spells in thirty minutes so I def agree with the Iap being not needed. You can buy spell packs or gold to buy more of the same spell or stat points. There is definitely a lot to do as you can craft things in the middle of battle or kill a pig for some health boosts. For instance you can make a bomb and blow a hole in the wall. Can't comment on the aI yet as I haven't played much. The only thing I have found that I didn't like is that you have to pay some gold to go back to a checkpoint. I don't know how much it matters but I guess it'll make you think twice before making a move. Also dev the gold currency is also used to buy skill points will this affect multiplayer since you can buy gold via iap ? Anyway you can make this happen in portrait mode ? Anyway I like it so far. I can think of a worse way to spend 5 bucks so it's 5 bucks well spent. No you don't need the Iap to enjoy this and it's offline. its a fresh spin on srpgs I think. The only thing I have found that I didn't like is that you have to pay some gold to go back to a checkpoint. I don't know how much it matters but I guess it'll make you think twice before making a move. You aren't actually paying any gold out of your stash. What you are doing is sacrificing some of the gold you would be getting when you win the quest in return for being able to replay a round. If you could replay any round any time, strategy games would be a bit meaningless, but I also didn't want to punish the player with complete death and restarting the quest for one mistake. So yes the aim is to make you be careful about your moves. When you play well and finish the quest you get to keep all the gems you found. If you win the quest but had to retry a few rounds, you lose a few of the gems because you didn't do as well. It's impossible to come out of a Quest with less gems than you started and you can always replay a quest (even with your new creatures and powers) and try and do better the next time. Your online Warlock uses separate stats so you can't buy skill points there. This keeps it fair, otherwise every MP battle would be completely unbalanced. Not sure what you mean by portrait mode, sorry. Portrait means holding the phone upright in one hand. Would be rad but no biggie if it's not possible. Anyway so far there seems to be a ton of content here! How long did it take you to make this game ? Well, I took the plunge, and I'm utterly charmed. Having the same maps for both combat and exploration = spacious battles. 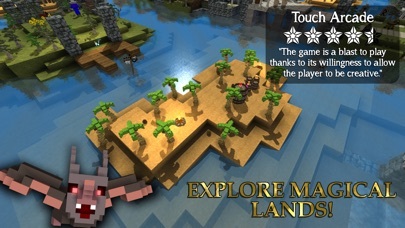 Destructible, interactive terrain; nice camera and beautiful graphics. I'm having more fun with this, right now, than w/ Legend Of Grimrock. I couldn't agree more. I mean, it's FIVE freaking dollars. People b!tch and moan about price so much, and then they b!tch and moan about FTP, there's no winning scenario here. People have no problem paying $60+ for a console or PC game, and even $30-40 for a Vita game, but when it comes to iOS games, FIVE dollars is too much?? Sorry but that's just downright pathetic. Don't suppose you'd care to leave similar comments as an app store review? I've had very positive feedback so far, but the hardest part is persuading people to take a chance on it in the first place. As I said, for $5, most gamers want to see a gameplay video; 10-20 min. Of actual play. You should get one up right away, because it will easily convince those on the fence. It's very good. Show people. It seems like a no-brainer, but here we are! !